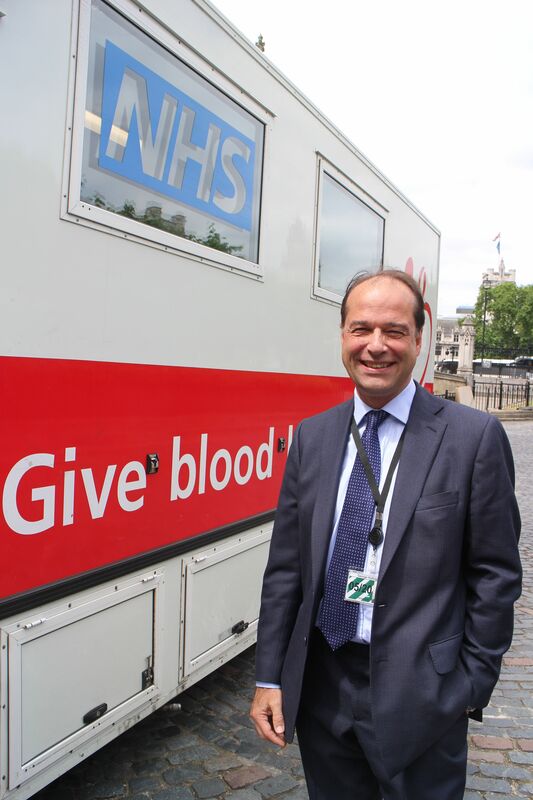 Meon Valley MP George Hollingbery gave blood this week and urged more donors to come forward following a 40% drop in those willing to give a pint. George has the rare universal blood type group O-negative and gave his donation on Tuesday at Parliament, but he said that supplies across the UK of all types are running low after the sharp fall over the last decade. “Luckily I have a rare blood type that only 8% of the population has and it can be given to anyone so it’s in much demand for emergencies and when a patient’s blood group is unknown,” he said. Around 204,000 people will have to come forward to donate this year alone in order to keep the nation’s blood stocks at a safe level, experts said earlier this month. The rise of people taking exotic holidays, which can preclude donation, plus longer working hours are some of the reasons for the fall.